When it’s too cold for other herbicides to be effective, Defendor® specialty herbicide provides early season postemergence control of dandelion bloom, clover, chickweed and other annual and perennial broadleaf weeds. 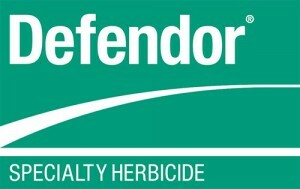 Defendor is available in a “Value Pak” with Dimension® 2EW specialty herbicide to be tank-mixed for proven crabgrass and broadleaf weed control, giving turf managers more time to complete the first applications of the season. Because this combination controls high-anxiety weeds before they bloom, it greatly reduces callbacks and minimizes complaints. Labeled for use on cool- and warm-season turf, Defendor can be applied to residential lawns and golf course fairways and roughs.